After almost 150 years in business, the Seattle Post-Intelligencer shut down its print publication last year in order to produce an online-only product. A recent Los Angeles Times profile on the Post-Intelligencer offers some insight into how traditional media outlets can make the switch to online-only. The new PI can’t afford to be comprehensive. It doesn’t really try to be authoritative. It no longer offers routine coverage of county government, for example, but highlights felines in the cutesy LOLcats feature and misses no turn in the saga of Amanda Knox, the University of Washington student tried for murder in Italy. In the last three years, the city has seen the emergence of a pair of nonprofit websites, Investigate West and Crosscut, that produce deeper public service and investigative journalism. A new online for-profit, PubliCola, has scored political scoops. 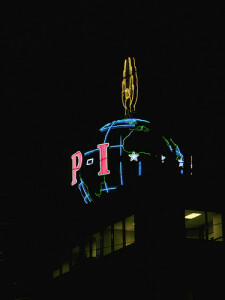 And the neighborhood-centric region has spawned a giant school of hyper-local blogs — many published at Seattlepi.com. Along with the professional writers, amateur journalists are also invited to contribute to the site. The publication offers regular training sessions for citizen journalists, including search engine optimization (SEO). Although the Post-Intelligencer celebrated the one-year anniversary of its new incarnation, it is still not profitable. It has maintained its web traffic, though, and claims an average of 4 million unique visitors and 40 million page views a month. Image by alexfiles, used under its Creative Commons license.